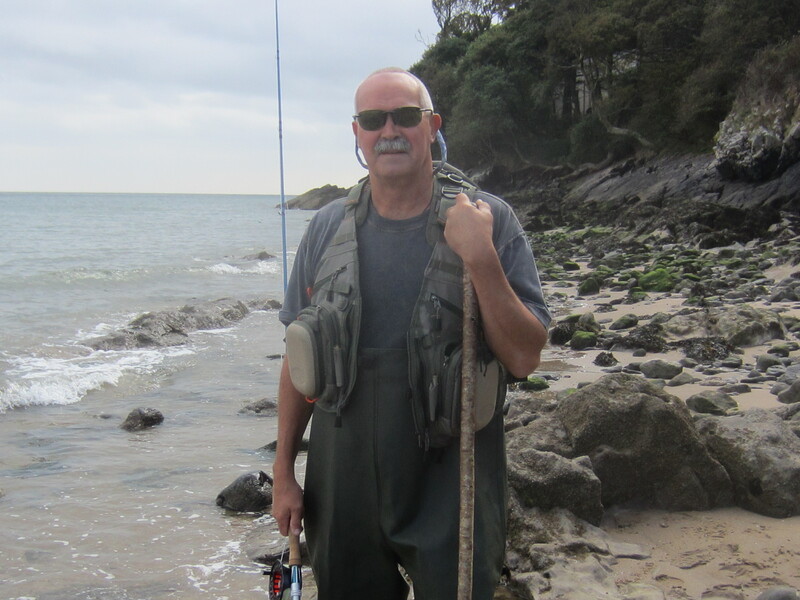 Specialising in salt water fly fishing for bass and mullet Gower Guiding’s focus is to encourage and help anglers visiting these parts of Wales the chance to experience catching bass and mullet in these areas of outstanding natural beauty. Your host John has fished for bass for almost 50 years around his native areas of North Pembrokeshire and the Gower peninsula,and has a particular passion for fly fishing the warm tropical flats around the coastline of Belize,Central America,for tarpon,permit and bonefish.In addition to this, John regularly visits Ireland at the end of his guiding season in Wales,to fish for autumn bass on the south east and south west coast lines. Our aim is to concentrate on helping our guests to target and catch bass using such methods as fly and live baiting. We encourage catch and release of this wonderful sporting fish, with the emphasis on “catching not killing”. We can also advise you on tackle choices, how to read the local coastline for areas that may hold fish, plus advice on conservation of this endangered species. Anglers who do not fly fish on a regular basis are encouraged to practice as often as possible (in your local park,on a sandy beach or wherever you have space to cast a line ensuring that you use a woollen imitation as your fly for safety reasons) so that when you fish the salt you are ‘ready to go’ rather than spending the first few hours of a guided session learning to cast again.Practicing the double haul will help you achieve that extra bit of distance with your fly when needed,especially when fishing a surf beach where wind and wave can impede your ability to reach the areas where fish are feeding. As of season 2019 a ‘one fish per 24hr’ policy for European bass has been enforced by the European Fisheries Committee provided the fish is above the minimum size of 45cm.